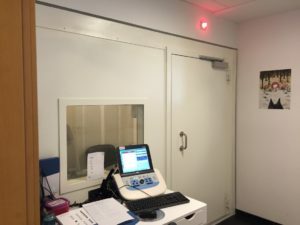 Boët StopSon delivered and supervised the installation of 2 Audio 3000 test booths, dedicated to the audiometric tests of the Médipole de Koutio, located near Nouméa. The Koutio Médipôle is the largest public infrastructure built in New Caledonia to date. The project involved nearly 600 workers for 4 years, working for more than 250 local companies. Delivered to the Government of New Caledonia, the new Médipôle will cover more than half of the territory’s health supply. Boet StopSon is also responsible for managing all electrical and computer interfaces, enabling practitioners to work in optimal conditions. The CIPAC Medical Company and the practitioners have expressed their great satisfaction with the quality of the delivered equipment, as well as with the professionalism shown by Boët StopSon during the design, manufacturing and installation phases.